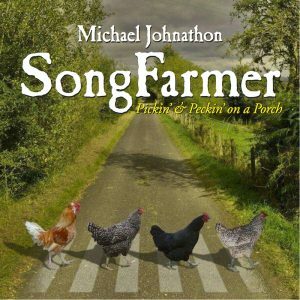 JOIN the WoodSongs Front Porch Association today, become a SongFarmer and start a hometown music jam! 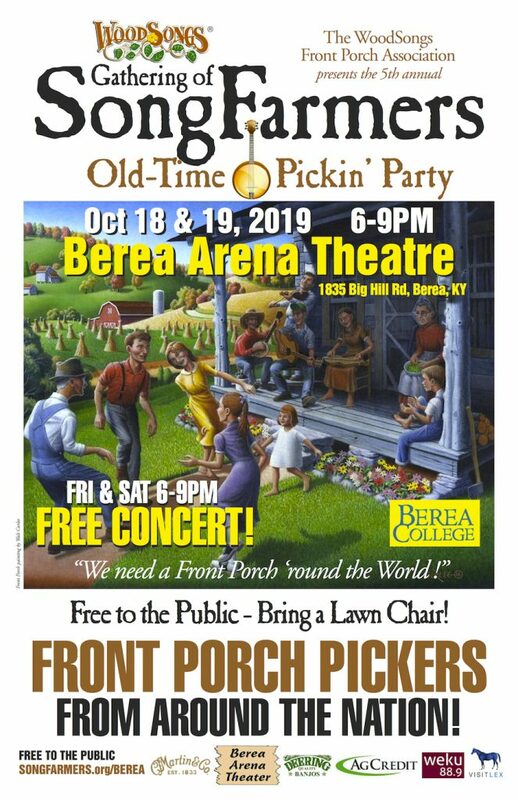 The 2019 Gathering of SongFarmers member conference will be in historic BEREA, KY at the wonderful Berea Arena Theatre on Big Hill Road, Berea KY right off I-75 south of Lexington. Great hotels, camping, cafes, music shoppes and hiking. The conference will be full of workshops, song circles and musical fellowship. Members get TWO FREE TICKETS to attend both days! Attention: Musicians, Writers, Poets, Painters, Artists, Performers, Fans and Front Porch Pickers! 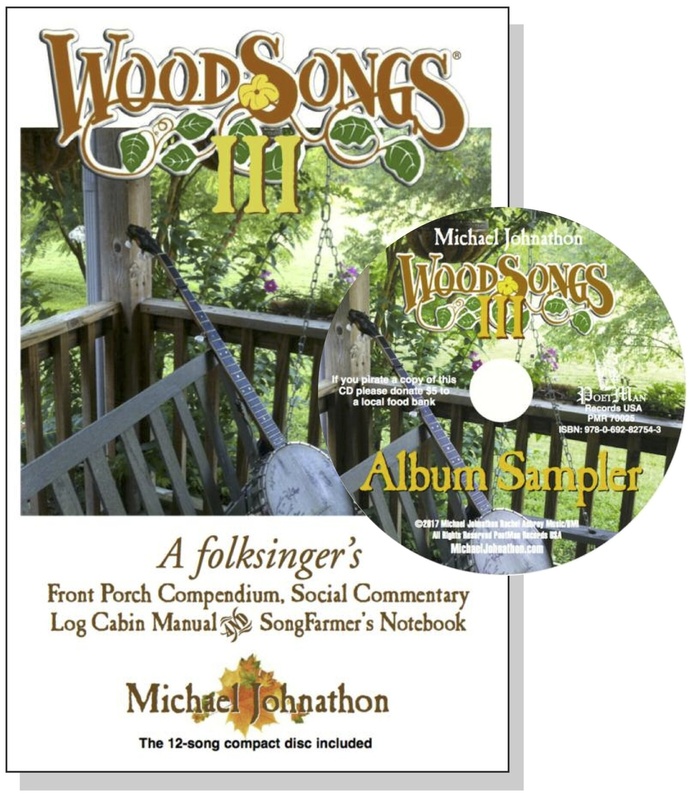 ORDER the SONGFARMERS CD album, the WOODSONGS III Book Special RFD-TV Offer: just $20 plus $2.75 shipping. Send a check to PoetMan Records PO Box 200 Lexington, KY, a PayPal payment for $22.75 to radio@woodsongs.com, or call 859-255-5700 with your credit card. Our community of musicians, players, poets and dreamers is growing so fast it’s hard to even keep up sometimes. Active and flourishing chapters from Hawaii to Vermont, from Arkansas to Florida and all are doing so well. If you feel like the music business has passed you by, if you’re looking something wonderful and powerful to do with all of this passion and music inside of you … Become part of this wonderful front porch community and do something good with your music. You don’t have to make a living with it to make it a very wonderful and meaningful part of your life. Above is a photo of a recent SongFarmers gathering in Tellico Plains Tennessee. What is the WoodSongs Front Porch Association? 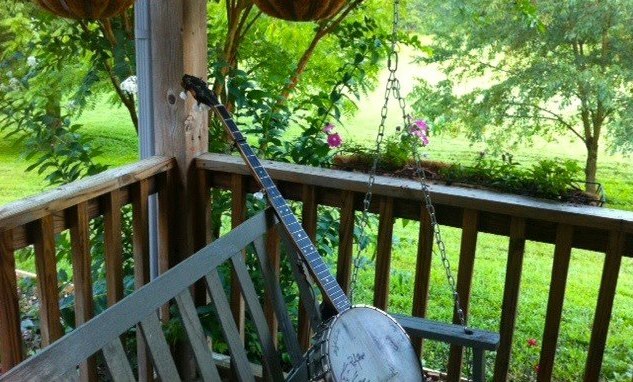 It is an international network of “front porch” minded musicians, songwriters and fans who simply love simple, rural music. This organization is about EVERYBODY who loves to pick, play and sing. If you feel the music business left you behind, join us. We will show you how to make music a powerful part of your life, even if it is not your livelihood. A “SongFarmer” is any artist who uses their music to make their families, their hometowns, their careers better. The WFPA is all-volunteer run. Your membership supports FREE roots music education into thousands of classrooms and home school families. SongFarmers start local chapters that bring their communities together through music … members get TWO FREE tickets to both days of the The WFPA Gathering in 2018.